Gastrointestinal permeability (leaky gut) severely impacts immune function and inflammation. 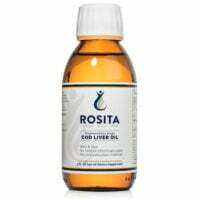 Systemic Formulas LGUT is designed as a first line defense against intestinal permeability and to help repair it once damage has been done. 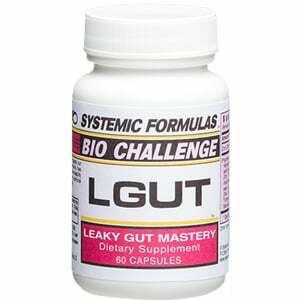 LGUT provides unusual botanical and nutritional ingredients shown to decrease intestinal permeability. This is a premium choice in leaky gut supplements. Take it for several months to allow it time to work. Learn more about Leaky Gut: blog article 5 Steps I Took to Heal Leaky Gut; Leaky Gut Symptoms, Causes and Tests Podcast; blog article on Leaky Gut Symptoms, Causes and Tests; this blog article on Leaky Gut and Autoimmune Disease; this blog post on Leaky Gut Supplements. Systemic Formulas LGUT is a premium choice in leaky gut supplements. Glutamine is given as L-Alanyl Glutamine, a superior form over regular Glutamine. Numerous anti-infective herbs and mucosal healers are included. Lion’s Mane Mushroom has been researched for its effects on mucosa repair. This is a premium product, researched and formulated by master herbalists. 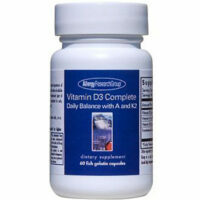 Take 1-2 capsules away from food, twice a day. Long term usage produces best results. 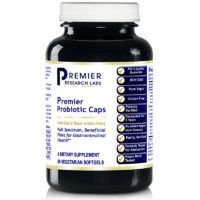 L-Alanyl Glutamine, Lions Mane Mushroom, Acetic Acid (apple cider vinegar), Butyrate, Goldenseal, Genisten, Black Radish, Bioferrin, Arachidonic Acid, Fructooligosaccharides as Prebiotic, Grape Seed (ext), Licorice (Rt), Sperarmint (Lv), RNA/DNA Duodenum Tissue factors, Allantoin, Turmeric, Aloe 200X, Beta-galactosidase, Gogi, Sea Salt, Mangosteen, Gelatin, Leucine.